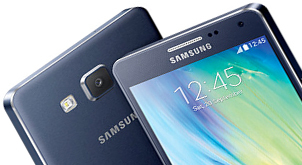 Samsung’s most super-charged smartphone to date, the S6 has a whole shopping list of face-melting specs and features. Not content with an awesome 5.1 inch display and 16 megapixel camera, there’s also expandable memory up to a whopping 96GB via SD card to house all your lovely content. The Samsung Galaxy S6 combines an attractive metallic unibody and 5.1 inch QHD Super AMOLED display to give the phone a premium, stylish feel. 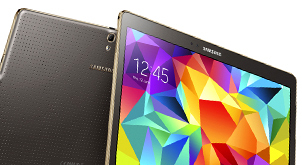 Enjoy your movies and games without interruption thanks to Samsung’s Exynos 7420 processor. This chip delivers eight cores of processing power, perfect for keeping your phone running smoothly in all situations. Take photos with ease thanks to the 16 megapixel main camera on show. Additionally, there’s a 5 megapixel front facing camera that will not only deliver great selfies, but also offers full HD for the very best in face-to-face video calling. 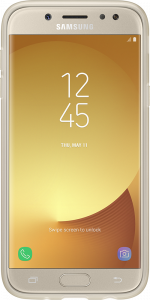 The Galaxy S6 arrives loaded with extra features, including fingerprint recognition, wireless charging, mobile payment technology, as well as Android’s 5.0 Lollipop operating system. With a full metal and glass design, the Galaxy S6 delivers a distinctive look and feel which is protected by durable Gorilla Glass technology. Anything you do on the Galaxy S6 looks vibrant and crisp thanks to the 5.1 inch QHD Super AMOLED display and real RGB colour. This is aided by Samsung’s Display Technology helping to deliver a superior mobile viewing experience both inside and outdoors. 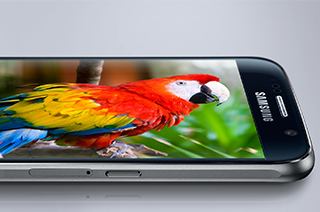 Thanks to the 64 bit processor, the Galaxy S6 delivers superfast 4G connection speeds. 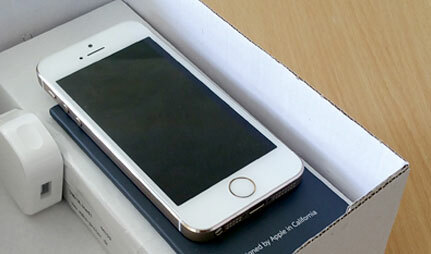 It also features 3GB of RAM and Universal Flash Storage 2.0 enhancing data speeds. 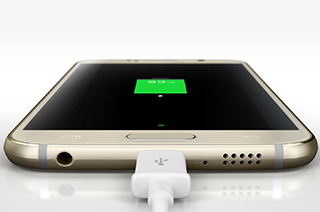 With wireless charging capabilities, you can now charge your S6 without the restraints of a charging cable. And with Fast Charging, you can juice up enough power to watch 2 hours of HD video from just 10 minutes charging. 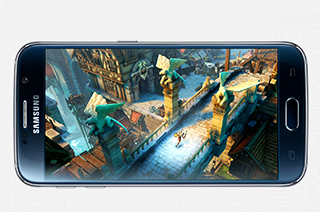 Whether you’re a dedicated photographer or just looking to capture great memories, the 5 megapixel front-facing camera and 16 megapixel rear-camera on the Samsung Galaxy S6 will help you create some stunning images. With launch time of just 0.7 seconds, there’s no chance you will miss the action, and with Optical Image Stabilisation, fast tracking auto focus and bigger f1.9 aperture, every shot will impress.